Malaria can change the way you smell, drawing more mosquitoes, a new study shows. The results might explain how the disease is able to spread so effectively. Image credits Petra Boekhoff / Pixabay. Malaria, a disease caused by the parasite genus Plasmodium and spread by mosquito bite, could make you more attractive to the insects. Its findings come to flesh out previous research which found that the parasites change the smell of animals they infect. The work also shows one of Plasmodium‘s more insidious mechanisms, in which it lures mosquitos in towards infected individuals, super-charging its spread. The research, led by Ailie Robinson from the Faculty of Infectious and Tropical Diseases, London School of Hygiene and Tropical Medicine, tested participants outside of the lab, dissecting their body odors to see which elements of its chemical makeup matter to mosquitoes. The team’s smelly research brought them in contact with the socks of 45 Kenyan schoolchildren — some of them infected by malaria, others not. To see whether mosquitos displayed any preference towards the smell of those infected with Plasmodium, the team placed socks in a test device, formed out of two boxes linked by a tube. Then, they released mosquitos into the tube and tracked which sock they flew toward. The insects showed a preference for the socks worn by infected children, the team reports. When presented with a choice between these socks and ones worn by the same child 3 weeks after the infection was treated with medication, 60% of the mosquitos chose the ‘infected’ sock. When presented with two pairs of socks collected at different times from children that were never infected, the mosquitoes didn’t show any preference one way or the other. Now that they knew something in the scent of malaria-infected individuals made them more attractive to mosquitos, the team wanted to find out exactly what that ‘something’ was. They analyzed foot odor samples obtained from 56 children, obtaining the full list of chemicals that constituted the scents. Then, they puffed each chemical at a time over mosquito antennae attached to electrodes. This testing zeroed in on aldehydes, a class of chemicals including heptanal, octanal, and nonanal — organic molecules constructed out of chains of seven, eight, and nine C atoms respectively, which impart fragrance to spices, fruits, and perfumes among others. These compounds were found in higher levels in the samples of infected children and elicited a strong electrical response from the antennae. It’s possible that malaria is promoting its spread by making the scent of infected individuals more alluring to mosquitoes. The more insects that the plasmodium can goad into biting these individuals, the more chances the infection has of spreading to other people says study co-leader James Logan, a medical entomologist at the London School of Hygiene & Tropical Medicine. However, the team isn’t certain what’s behind this difference in odor. It could be that the aldehydes are secreted by the parasite itself, or that they may be produced when the host’s fat cells break down during the infection, the team notes. They caution, however, that while the come-hither effect may be unique to malaria, it’s possible the shift in odor is common to other diseases as well. Understanding odor’s effect in the spread of malaria could help us detect infection sooner and nip its transmission in the bud. Alternatively, it could lead to the creation of better mosquito traps. 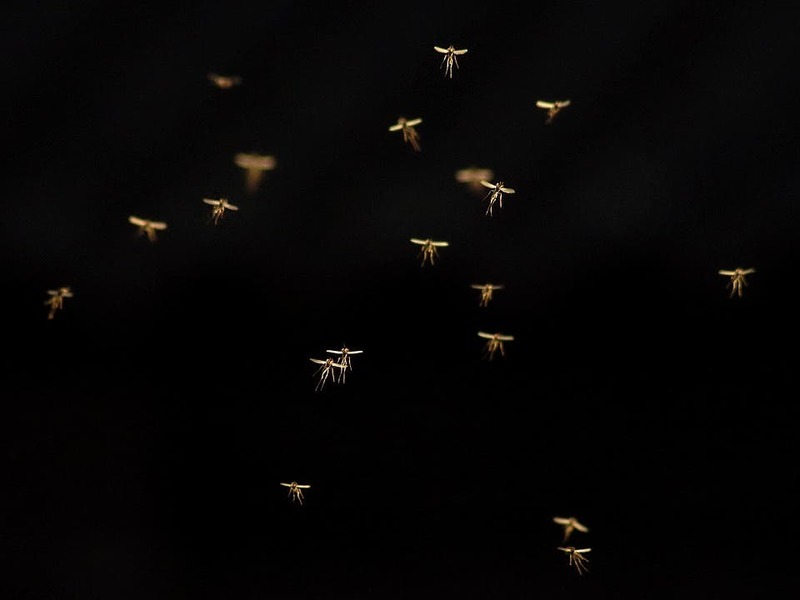 Getting the bouquet just right is quite tricky, though — the team notes that even small tweaks in scent mixes they produced in the lab will influence whether mosquitos are piqued or indifferent. In one seemingly paradoxical case, the insects were drawn to a scent spiked with a small dose of heptanal, but decidedly unimpressed when the amount of the chemical was increased slightly. The paper “Plasmodium-associated changes in human odor attract mosquitoes” has been published in the journal Proceedings of the National Academy of Sciences.